Overnight Hash Brown Casserole recipe is a bacon, egg, hash brown breakfast casserole that you can prep ahead! Can I just tell you what a fan of overnight breakfast casseroles I am? This one takes a little prep, but the results are totally worth it. Plus, I’m so much more okay taking the time to cook veggies the night before when I have extra time than having to wake up super-duper early to put something yummy together. 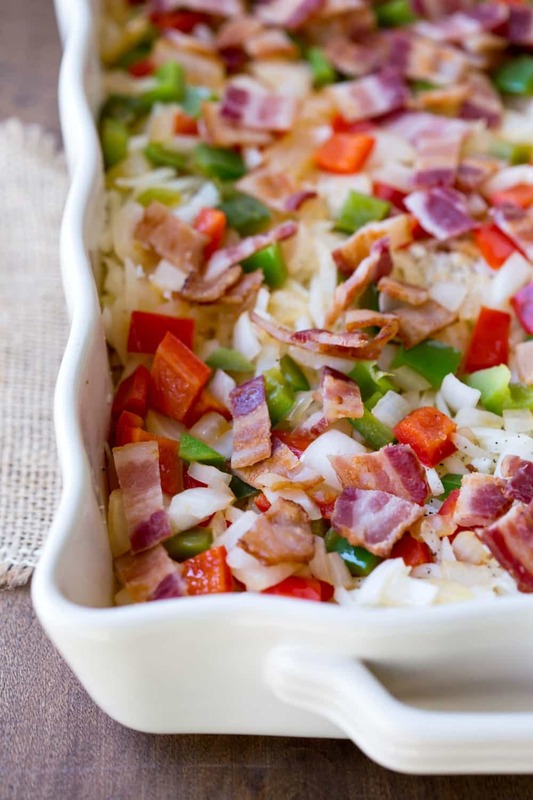 And this Overnight Hash Brown Casserole is truly yummy. 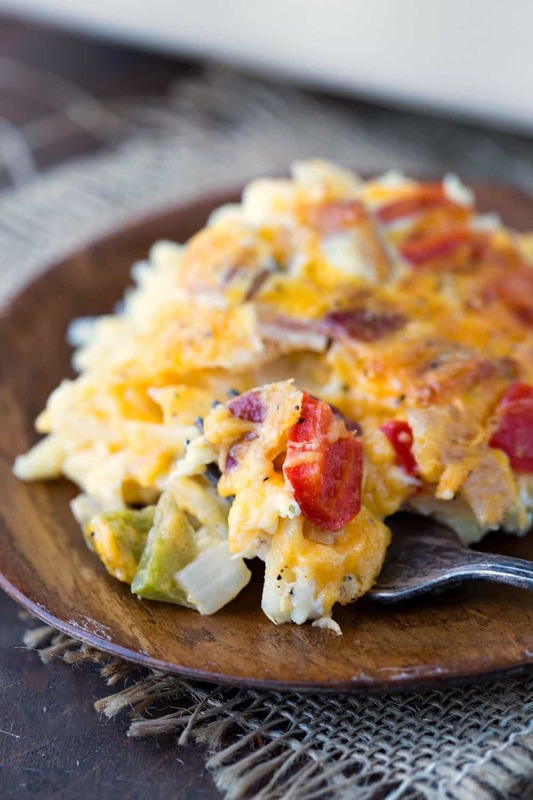 It’s loaded with all kinds of good stuff like veggies, hash browns, eggs, cheese, and bacon. Do yourself a favor and use a quality thick-cut bacon. I suggest using thick-cut bacon because it doesn’t shrivel up into a sad piece of bacon nothingness as it cooks. I picked up applewood smoked bacon to use in this casserole. I like that you can taste all of that yummy smoky flavor in the bacon. No matter which type of bacon you choose, though, you can’t go wrong! We like this Overnight Hash Brown Casserole so much that I also throw it together in the morning, and we have it along with muffins for “breakfast-for-dinner”, too. And don’t toss the bacon grease! If you’re up for trying something new, one of my favorite cookie recipes – Bacon Molasses Cookies – uses bacon grease in the recipe. Or, if you want to try a sausage breakfast casserole, I have you covered there, too! 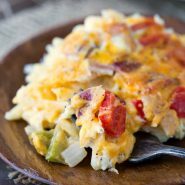 If you’ve tried this overnight hash brown casserole recipe, don’t forget to rate the recipe and leave me a comment below. I love to hear from people who’ve made my recipes! You can SUBSCRIBE to receive my latest recipe newsletters or FOLLOW ME on FACEBOOK, INSTAGRAM and PINTEREST for even more delicious food. Overnight Hash Brown Casserole recipe is a bacon, egg, hash brown casserole that you can prep ahead the night before! Preheat oven to 400 Line a large rimmed sheet pan with parchment paper. 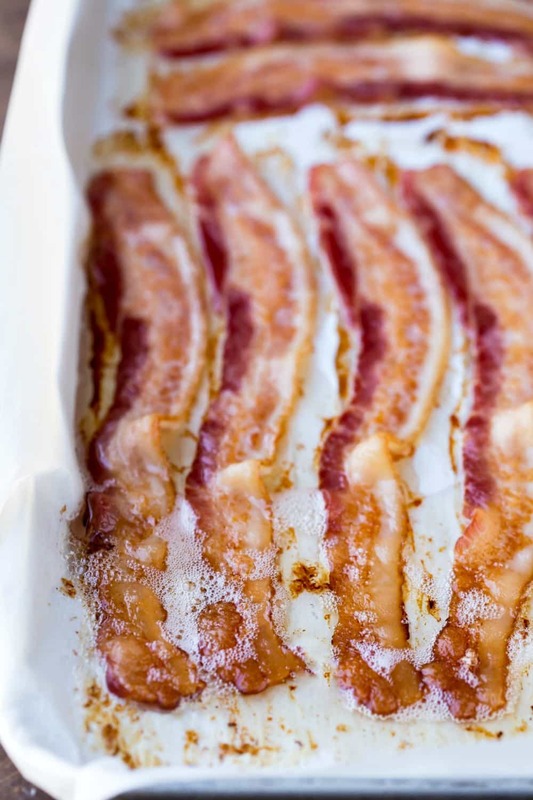 Lay bacon on lined pan so that it's close but isn't touching. Bake for about 10 minutes or until tender-crisp. You don't want it to be crisp because it's going to bake longer when the casserole cooks. 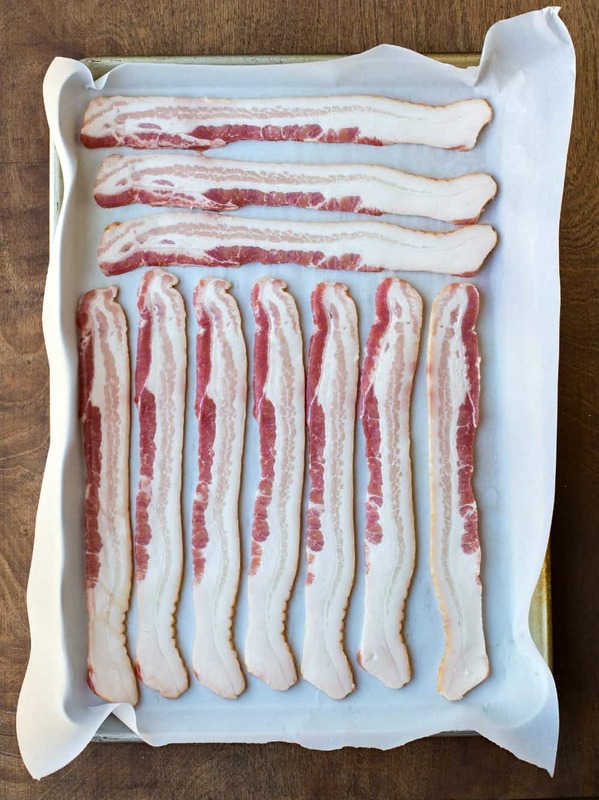 Let bacon cool on baking sheet. Remove to a paper towel-lined plate to absorb any extra grease. To make the casserole, heat butter in a large skillet. Add diced onion and peppers. Cook until onion is translucent and peppers have softened. Grease a deep 9x13-inch baking dish. Layer hashbrowns and cooked veggies. Crumble cooked bacon over the top of the veggies. In a large bowl, whisk together eggs, milk, and hot sauce. Cover pan with aluminum foil, and place in the fridge overnight. In the morning, get casserole out of the fridge about 30 minutes before you want to bake it. Bake casserole, covered, for about 45 minutes. Uncover, and continue cooking for about 15 minutes longer, or until casserole is set and has baked through. I like to serve this with additional chipotle hot sauce or salsa. Made this for our friend brunch this morning and it was a hit! Easy to make and delicious. Thanks for sharing! Thank you! I’m glad that it was a hit! =) Thanks for taking the time to comment! Could you use freshly grated potatoes instead of frozen hashbrowns?? I haven’t tried using freshly grated potatoes to say for certain. 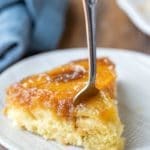 Though not a big fan of breakfast casseroles in general, this was tasty and easy to make. I liked that I could make it ahead of time and just pop it in the oven in the morning. Thank you! I’m glad that you liked it. =) Thank you for coming back to comment! I haven’t tried to make it that far in advance. I’ve made some of my other breakfast casseroles 48 hours ahead, and they were fine, but I haven’t tried it with this one to say for sure. This looks amazing! Can it be made the morning that it’s planned to be eaten or is it critical that it sit overnight? Have you ever tried freezing this? If so, how do you recommend reheathing (thawing necessary or just add extra cook time)? I haven’t tried to freeze this, so I’m afraid that I’m not much help on this. Would you suggest cubed or shredded hashbrowns? I use shredded hash browns. Hope that helps! 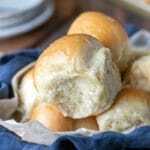 This recipe was a huge hit with my Ladies’ Bible study group. It was great that I could make it the night before and then just pop it in the oven about an hour before they arrived. i was not able to find the Chipotle sauce, so I used about a teaspoon of Tobasco sauce instead and added about a 1/2 tsp. of garlic powder. Great recipe! 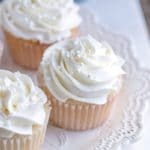 Easy and very tasty! I’m sticking to the recipe. I have the wet ingredients separate. Can’t wait to get this all in the oven tomorrow morning for a group breakfast at work!